Right now, 450,000 people are incarcerated in America without being convicted of a crime. Charged with bails they can’t afford, they sit in jail awaiting their trials. Backlogs are extensive and overcrowding is common. Some wait weeks, others wait months, and some even die in custody before getting their day in court. Enter “Appolition,” an app concept aimed at crowdfunding bail relief for these people modeled after spare change apps. Given the prominence of crowdfunding, the digital activist behind the initiative says it’s long overdue. “We live in a moment of people on Kickstarter raising thousands and thousands of dollars for potato salad,” Dr. Kortney Ryan Ziegler joked to Gizmodo. Inspired by bail relief initiatives and the moneymaking potential of a well-timed tweet, Ziegler took to Twitter this summer with a radical idea: a spare change app that could benefit thousands of incarcerated people across the country. Tied to your bank account, the app would, for example, donate the remaining 20 cents to a bail relief organization when you buy something for $1.80. In 2013, Ziegler founded Trans*H4CK, an Oakland “mini-incubator” that hosts hackathons for trans and non-binary tech innovators. Trans*H4CK’s specialty is reworking familiar tech concepts into hybridized social justice initiatives. Here, a spare change app becomes bail relief. Previously, a project developed at Trans*H4CK used geolocation to find gender-safe bathrooms. Another resulted in a Yelp-like service to help connect trans and non-binary patients with medical care. Ziegler recalls the National Mamas Bailout Day. In May, 25 civil rights groups crowdfunded $400,000 to bail out mothers stuck in pretrial detention. “Seeing crowdfunding actually be used to free black people was so inspiring to me,” he said. A 2016 report from the Vera Institute of Justice found 80 percent of all women in jail are mothers. Most are single mothers. According to Lambda Legal, an LGBT-centered civil liberties nonprofit, a staggering one in six transpeople have been incarcerated. 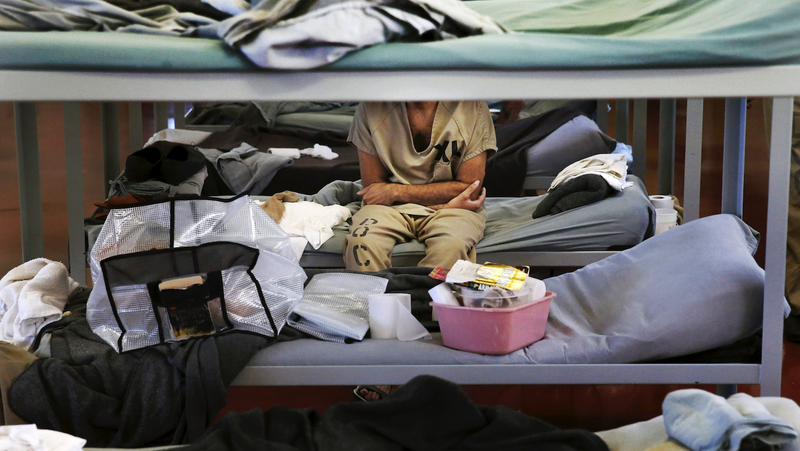 Transpeople in jails face higher risks of violence, sexual assault and being denied medical treatment. As the project grows, Ziegler has had to face a hard truth: providing relief isn’t as simple as building an app. Complicated issues compound (who gets the funds? how do you prioritize potential recipients? ) and many bail relief groups aren’t set up to receive crowdsourced funds digitally. Ziegler says he’s spoken with lawyers, designers, developers, entrepreneurs, and brought on a project manager to help develop the app. The goal is to have the app up and running within three months, but he’s wary of promoting this as a quick fix to a deeply complex problem.